The most stunning feature of this fish is the large protruding eyes resembling those of a dragon. 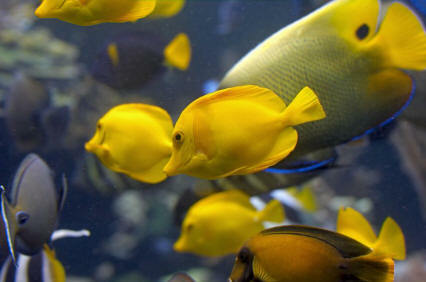 They have long been considered as the most representative goldfish of China. 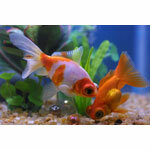 The Telescope Goldfish is available in many interesting colors, including the Red/White, Calico, and Red Telescope. The Telescope Goldfish has an egg-shaped body. The eyes are also dome-shaped and are wider at the base than the tip. Telescope Eye is belong to omnivorous goldfish, Telescope Goldfish will generally eat all kinds of fresh, frozen, and flake foods. To keep a good balance give them a high quality flake food everyday. Feed brine shrimp (either live or frozen), blood worms, Daphnia, or tubifex worms as a treat. It is usually better to feed freeze-dried foods as opposed to live foods to avoid parasites and bacterial infections that could be present in live foods. Due to the protruding eyes they have poor vision and a harder time seeing their food, so need extra time to feed. This fish belongs to the scattered egg reproduction type. 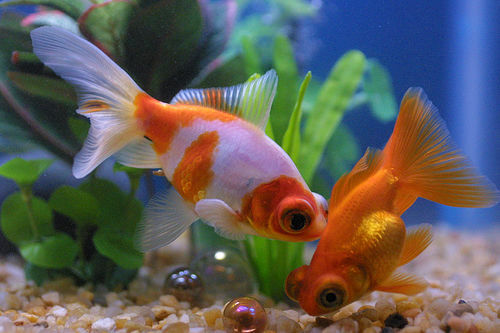 Telescope Goldfish have a definite courtship ritual. So, it can breed easily. It lays up to 1000 eggs and fry hatches within 5 to 6 days. We can feed foods to the fry, which should make for the egg-laying fish. The best tank mates for the Telescope Eye are similar slow swimming goldfish that also have some kind of handicap. 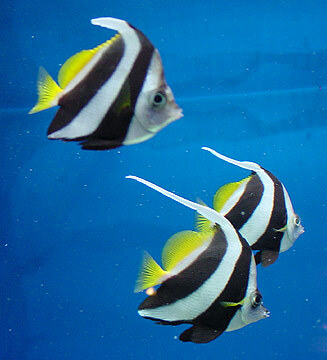 These are the Black Moor, Bubble Eye, Celestial Eye and even other twin-tails like the Oranda, Fantail or Lionhead. Doing this, all your goldfish will have an even chance when food is served. Please do not mix with single-tailed, fast swimming and competitive goldfish like the Common, Comet or Shubunkin. Telescopes should have a tank with soft fake plants and fine gravel only as they can injure themselves on sharp corners or edges of driftwood, rocks or plastic air-pump moving decorations.